This is a part of an overall design scheme which demonstrates Creswick’s developed style through the integration of the design into the architectural form of the building. 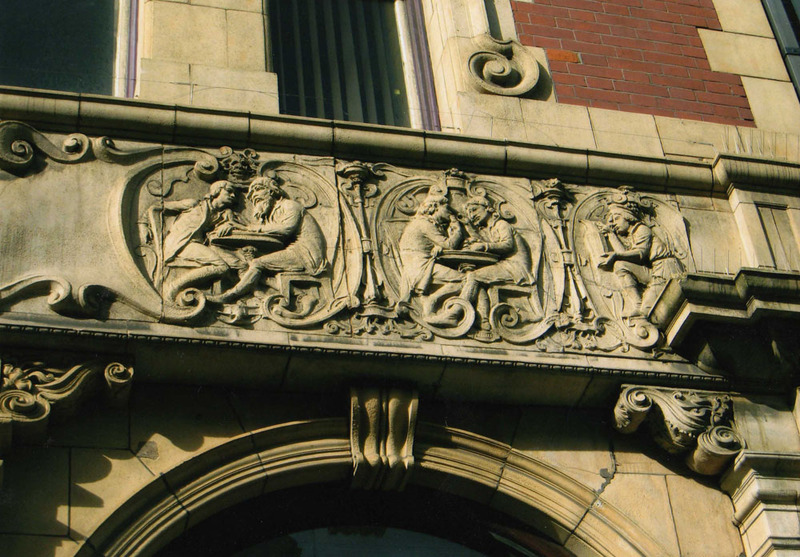 It is a design in which Creswick celebrates Birmingham’s Civic pride and the humanity which underpins it. For more information see Timeline 1895 – 99.